- Flat storage bags designed for suitcases and rucksacks – ideal for travelling. - Perfect for packing clothing, towels and toiletries. - Roll flat by hand - no need for a vacuum. 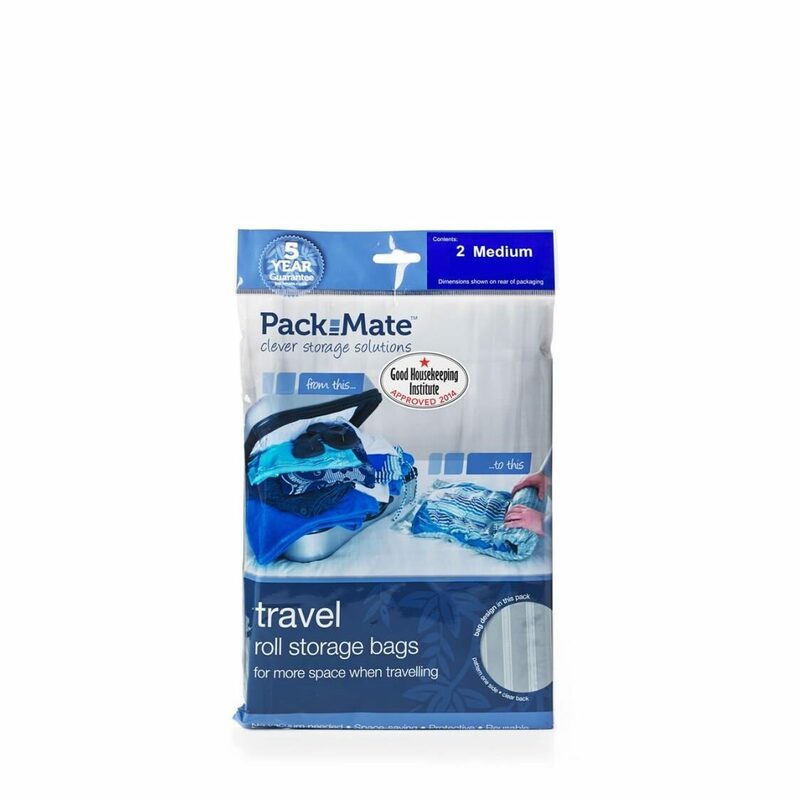 Pack Mate Travel storage bags come in a variety of sizes. All sizes are in cm. Large: 50 x 70cm - Ideal for suitcase. Can fit up to 48 Men’s T-Shirts.